MSM Motion Pictures’ much celebrated family comedy drama, Piku, continues its dream run at the film festivals abroad. After sweeping the top honours at Indian Film Festival of Melbourne, Australia, the film has now bagged Best Film and Best Director awards at Indian Film Festival in Russia that took place at Formula Kino Horizont and was witnessed by a 2000 plus strong audience. 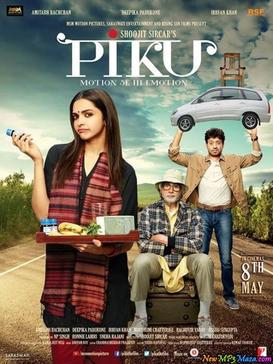 Piku, which turned out to be one of the biggest hits of 2015 and has been critically acclaimed globally, was helmed by Shoojit Sircar and top-lined by actors Amitabh Bachchan, Deepika Padukone and Irrfan Khan. Piku‘s continued success at International festivals is an evidence of the film’s universal connect. A quirky yet heart-warming tale of father-daughter relationship, the film’s win at Russia is particularly significant since it was showcased to a largely non-diaspora audience. Piku was co-produced by MSM Motion Pictures, Saraswati Entertainment and Rising Sun Films. The film was distributed worldwide by Yash Raj Films.